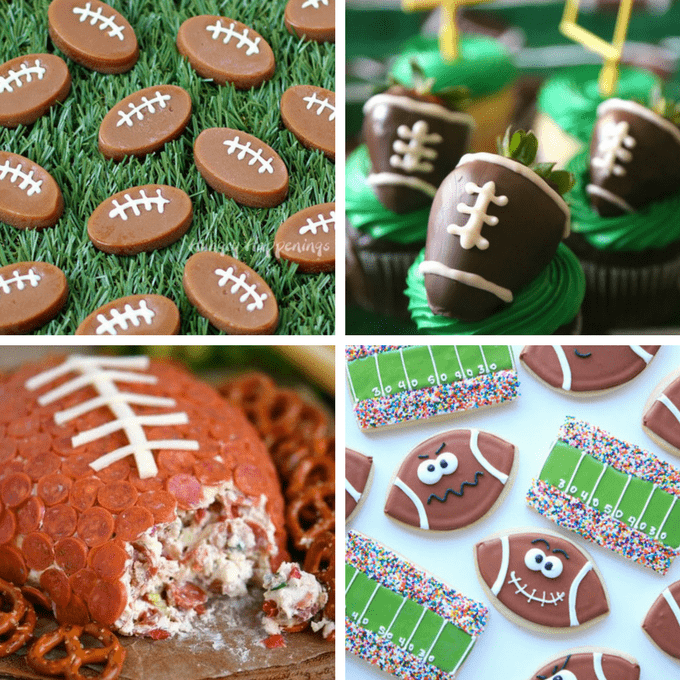 Football food ideas: 25 fun football foods to serve at your Super Bowl party. 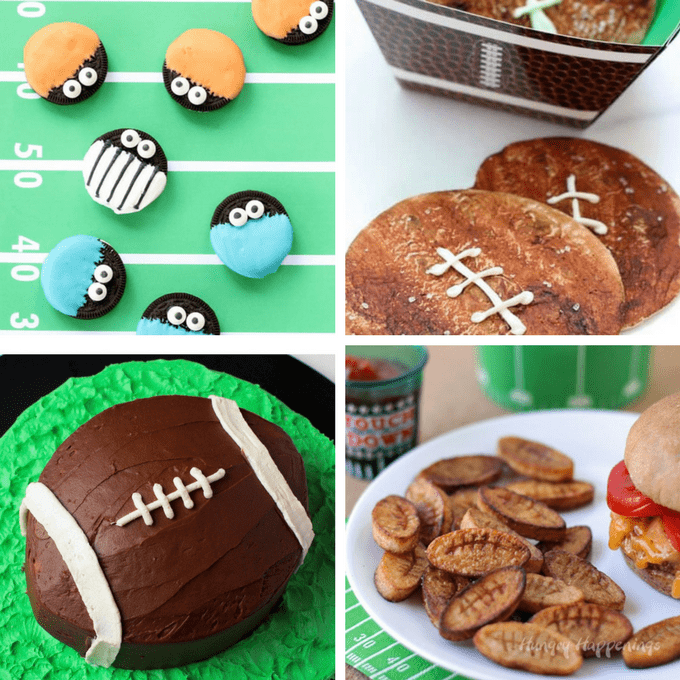 A roundup of 25 football food ideas, or, fun football-themed foods to serve at your Super Bowl party. 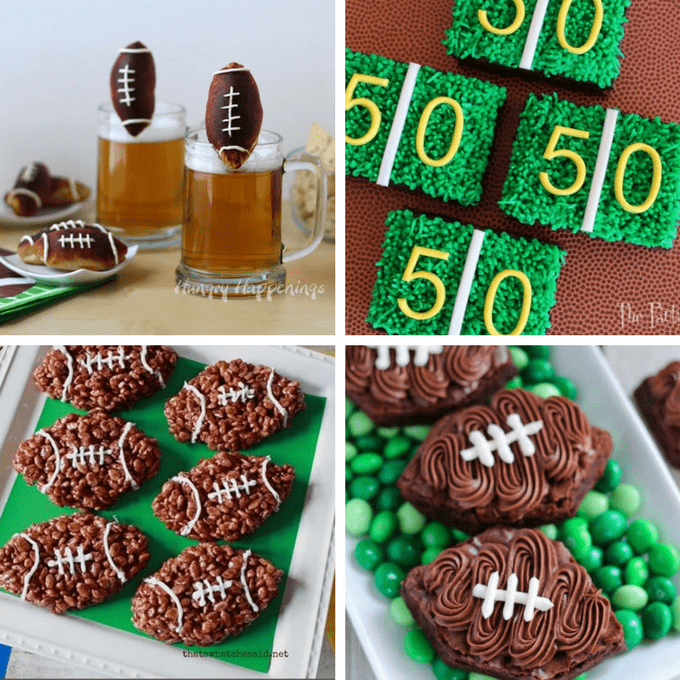 Make a no-carve football cake at Craftsy. Make football French fries at Hungry Happenings. 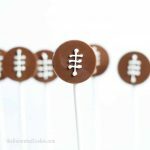 Make peanut butter cup footballs at The First Year blog. 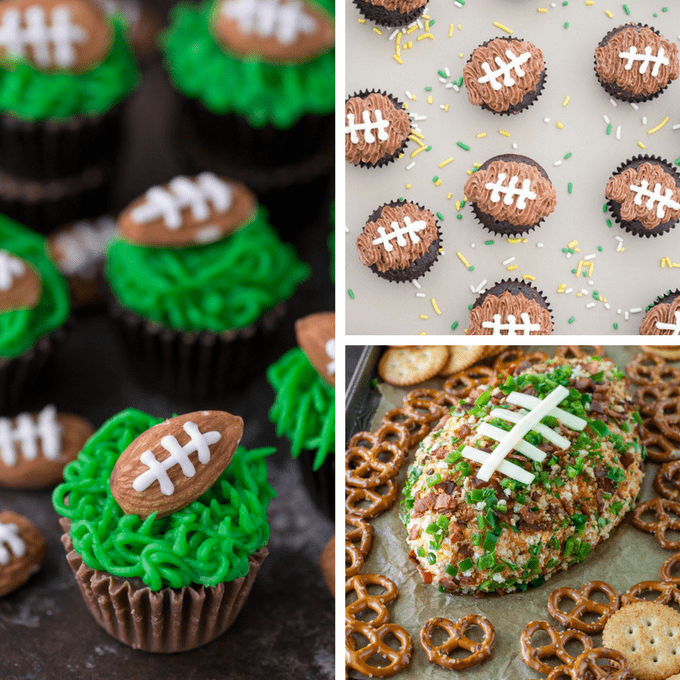 Try mini football cupcakes at Sarah’s Bake Studio. Make a jalapeno popper football dip at Peas and Crayons. 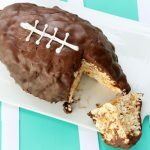 Make microwave caramel footballs at Hungry Happenings. 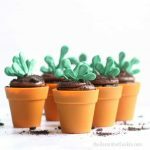 Make chocolate strawberry football cupcakes at Mom Endeavors. Make pepperoni pizza football dip at Mom on Timeout. 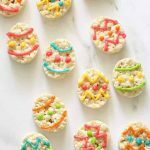 Make football cookies at Munchkin Munchies. 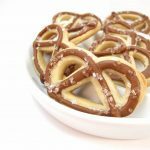 Try beer mug cheese stuffed pretzel footballs at Hungry Happenings. Make 50 yard line brownies at The Partiologist. 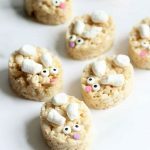 Make football Rice Krispie Treats at That’s What Che Said. 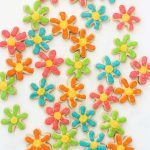 Try football brownies at Celebrating Sweets. Make cocktail weiners footballs at Pillsbury. 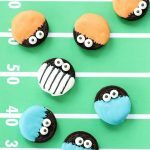 Make cookies and cream football dip at Shugary Sweets. 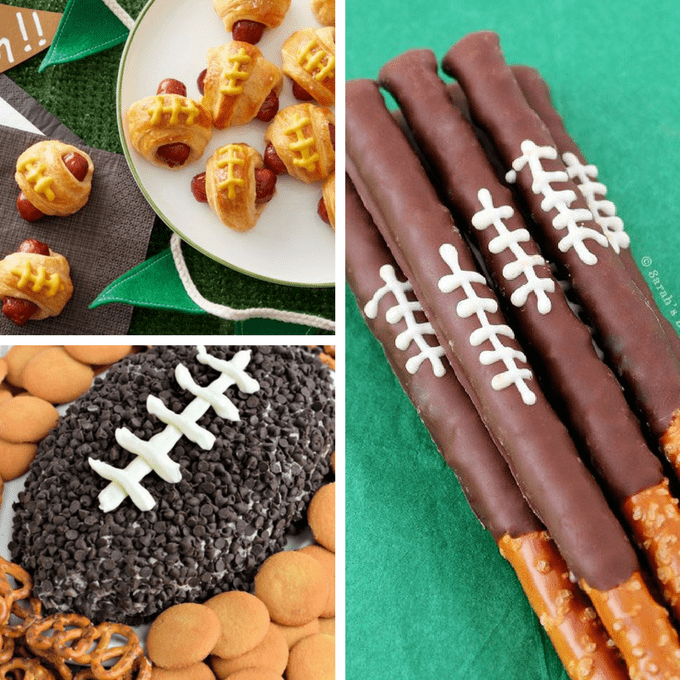 Make football pretzel rods at Sarah’s Bake Studio. (Um, oops. This one is soccer, of course. I made a mistake. But it’s a cool cake, so I’m keeping in anyway. And technically, “soccer” is “football” elsewhere in the world.) 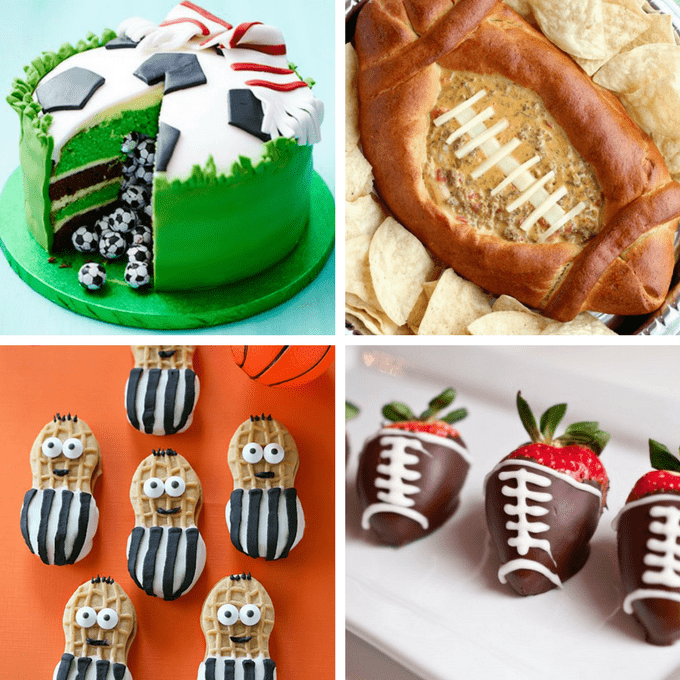 Make a football pinata cake at BBC Goodfood. Try a football dip bowl at Dessert Now Dinner Later. 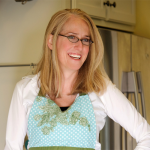 Make Nutter Butter referees at The Girl Who Ate Everything. 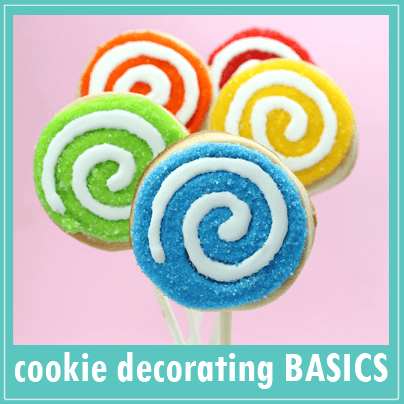 Try chocolate covered strawberry footballs at Domestic Fits. 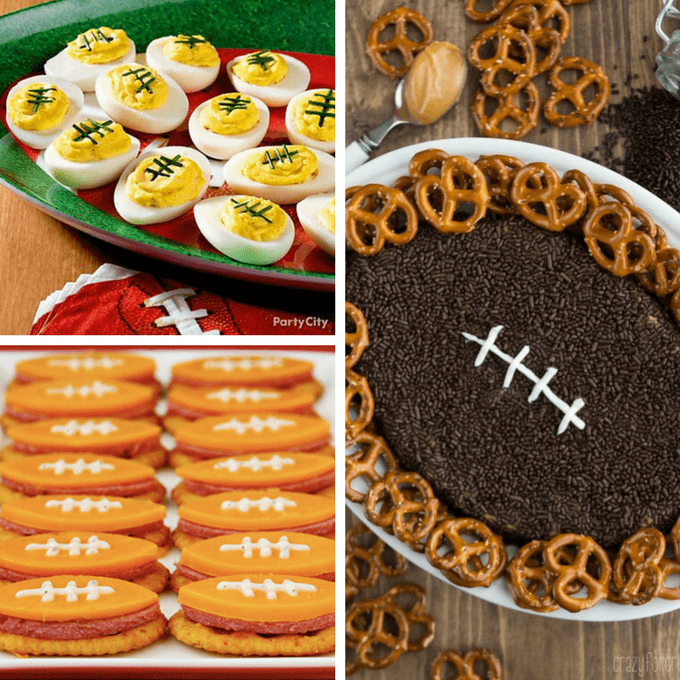 Make football deviled eggs at Party City. Make football cheese and crackers at Gimme Some Oven. Make peanut butter football dip at Crazy for Crust.